Just got my ticket for the home leg of the play off. That’s really all we’re waiting for now isn’t it- the play offs? Yes we have a last regular season game on Sunday, but really it’s all about the semi final against Sheffield United or Chesterfield. 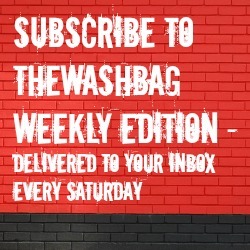 I covered the game at Preston North End in my match report on “The Washbag” the other day so there’s little left to say on the matter of team selection for that game. If everything works out at the end of May then great, if not, well it’s League One again. As regards Colchester United on Tuesday… Work meant missing that particular game which meant more to our hosts than it did to us. The same can be said for the visit of Leyton Orient at the weekend. I see that we’re suffering a few injury worries ahead of the match so stand by for changes. What would give us a real boost of course is the reappearance of Louis Thompson. His parent club Norwich appear to be happy for Louis to take his place in the play offs if he’s fit. I wonder if we’ll see a place on the bench for him against the O’s? It would be great to have both Thompson’s together in the team for the crucial matches to come. So it’ll be a strange atmosphere on Sunday. A lunchtime kick off and a case of before The Lord Mayor’s banquet. I suppose it’ll be a chance to sit back and not worry too much about what happens. Except most Town fans would like to see a bit of form before next Thursday’s first leg. Whether that makes any difference remains to be seen. I guess our only recent example is a couple of years back when we kind of coasted into the semi against Brentford and missed out on spot kicks. Of course we’re not privy to what goes on in the County Ground corridors and how optimistic the mood is. All we can do is hope that everyone is up for the challenge to come. Because of a little matter called the General Election, I’ll miss the first leg of the semi. Not too impressed by the Football League’s scheduling but there you are. I’ll be presenting an election programme while the travelling Town fans will be on their way back down the M1. Ironic really that two events with such unpredictable results are happening on the same day. So, let’s enjoy Sunday before the nail biting begins. It’s been a hugely enjoyable season whatever happens. Great credit must go to all those concerned. Let’s hope it gets the reward it deserves.